This page shows images and postcards of transport in Athens and Piraeus in Greece. 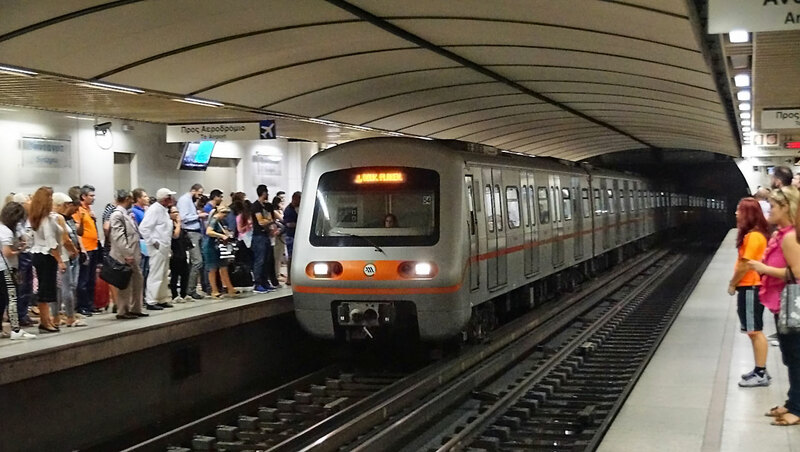 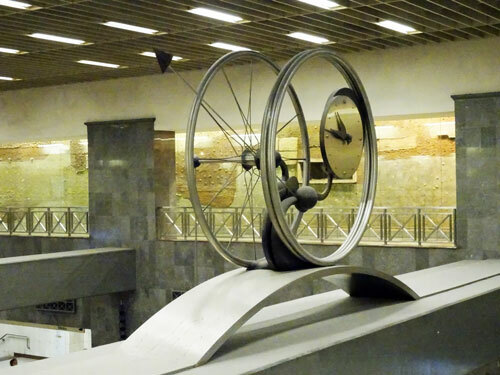 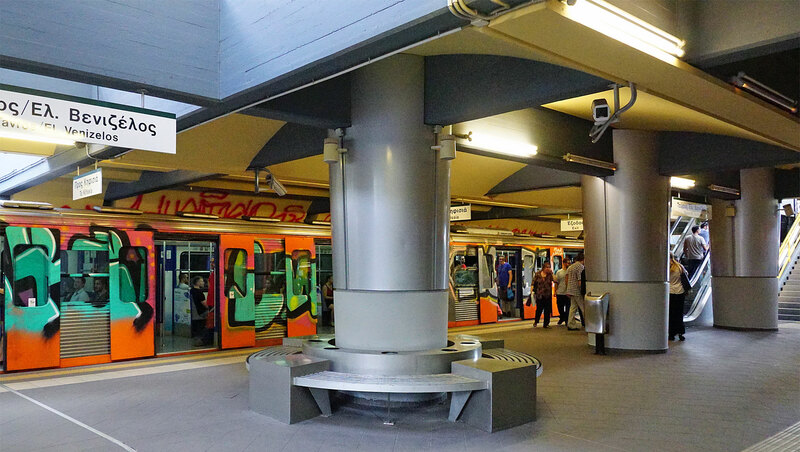 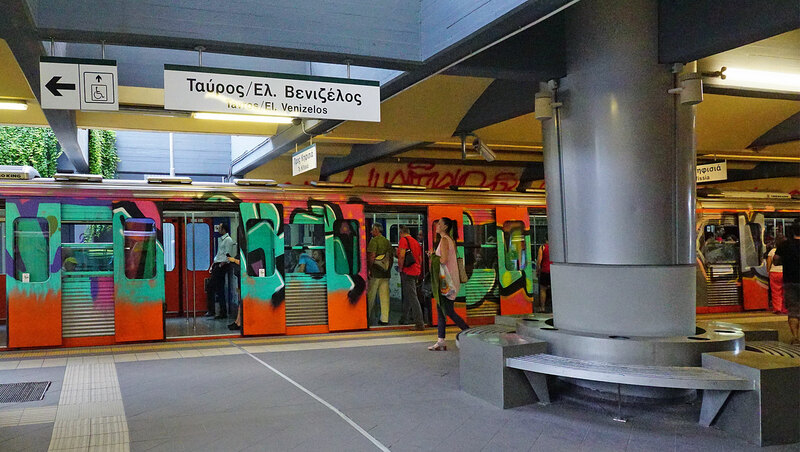 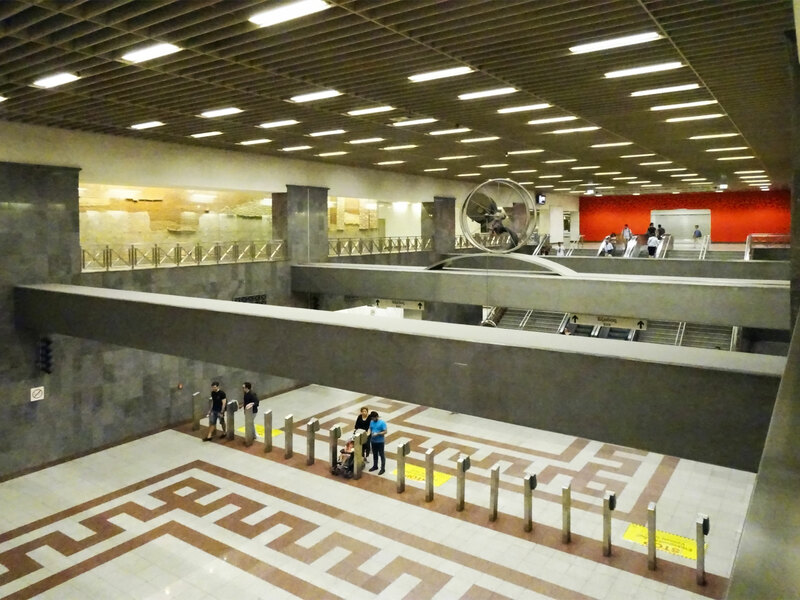 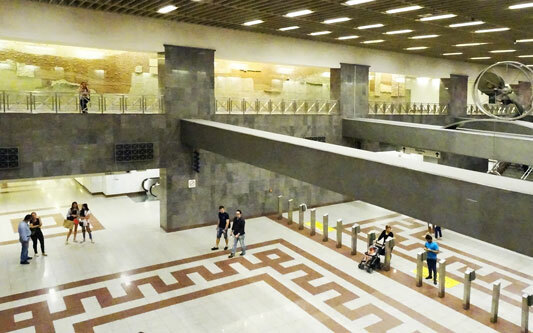 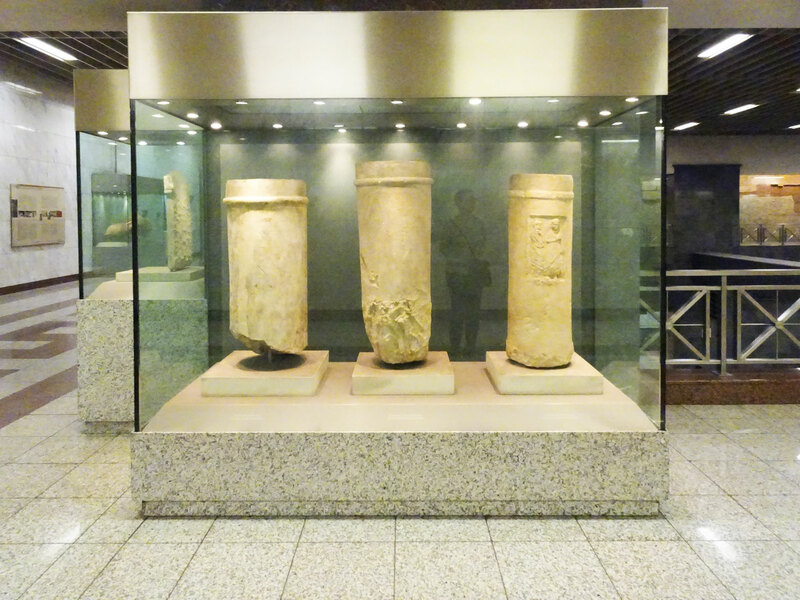 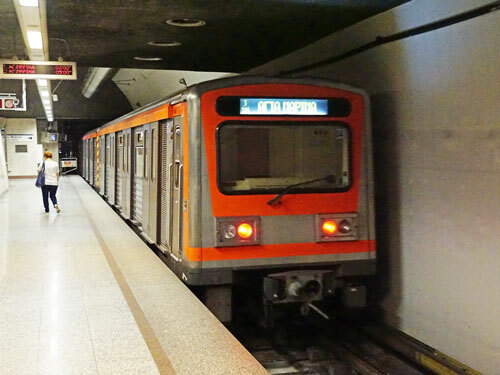 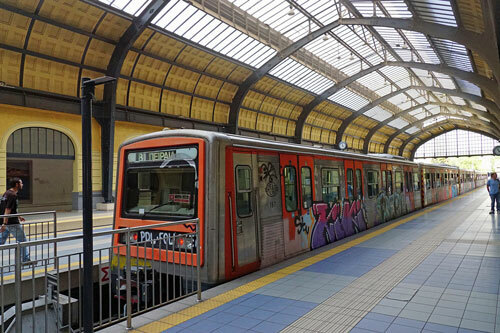 The Athens Metro (Greek: Μετρό Αθήνας, Metró Athínas) is a rapid-transit system in Greece which serves the Athens conurbation and parts of East Attica. 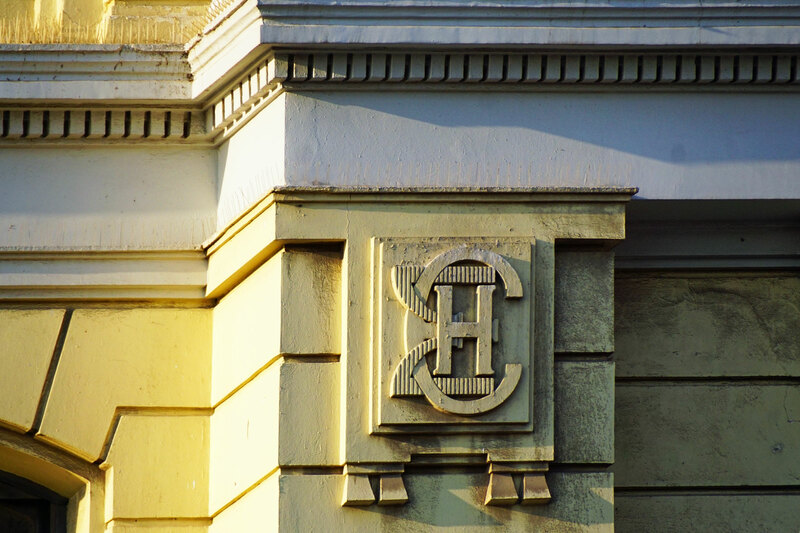 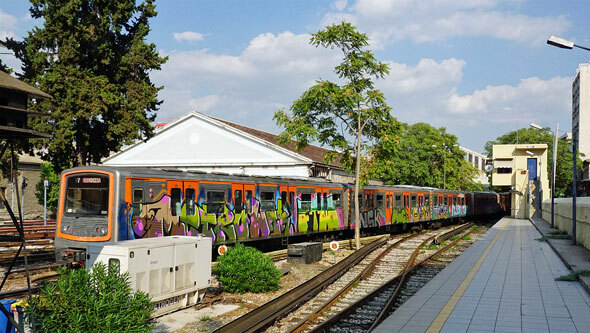 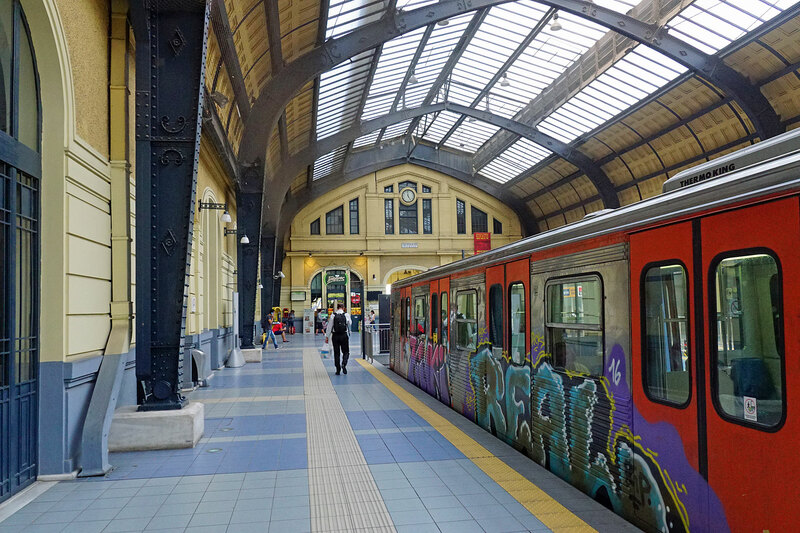 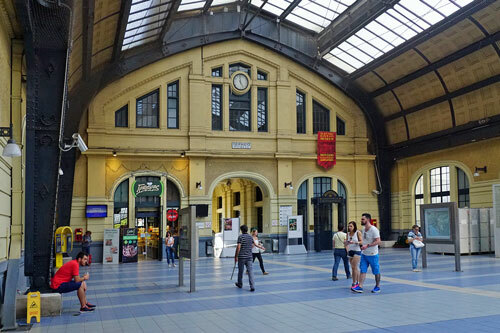 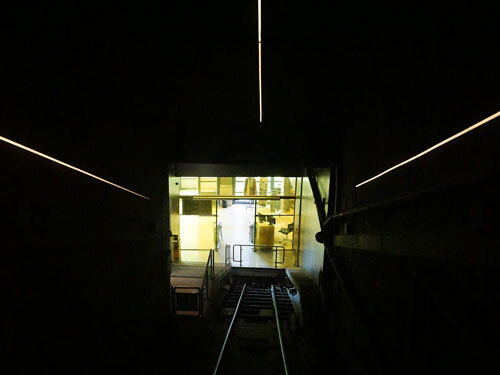 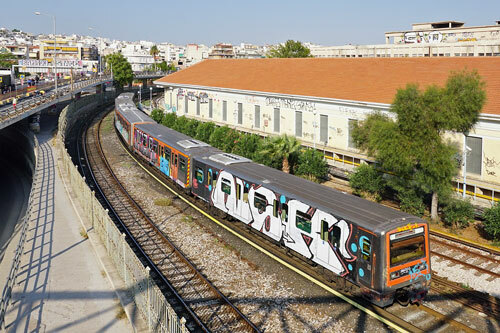 It incorporates the former Athens-Piraeus Electric Railways (ISAP), which opened as a conventional steam railway in 1869, and which was electrified in 1904 and is now part of Line 1. 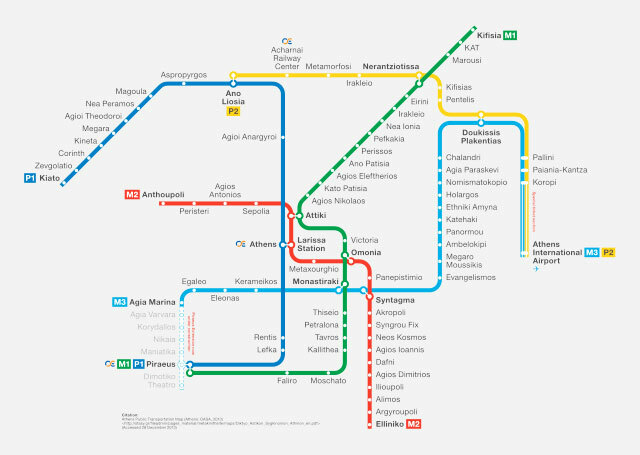 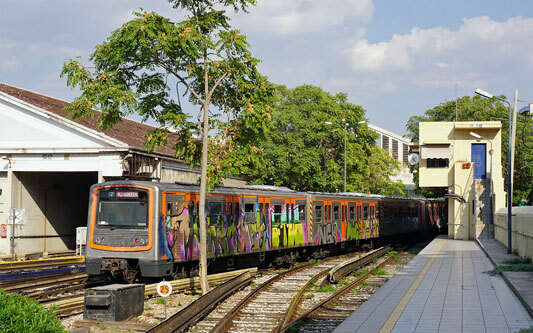 Beginning in 1991, Attiko Metro constructed and extended Lines 2 and 3 and the Attiko Metro Operations Company (AMEL) operated these lines from 2000 to 2011. 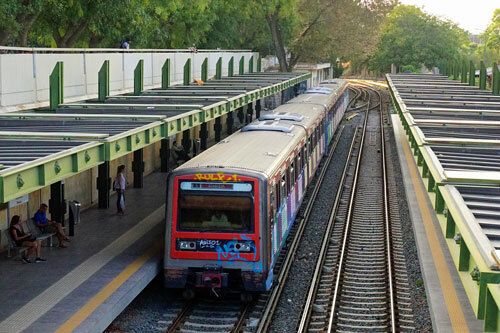 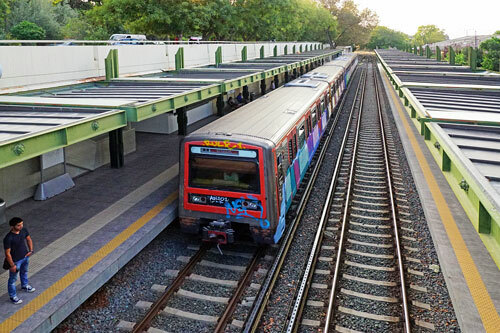 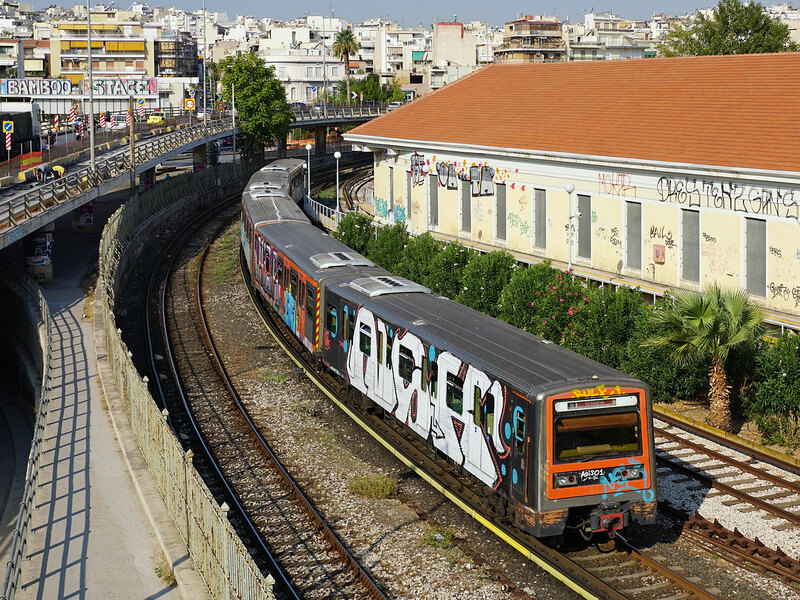 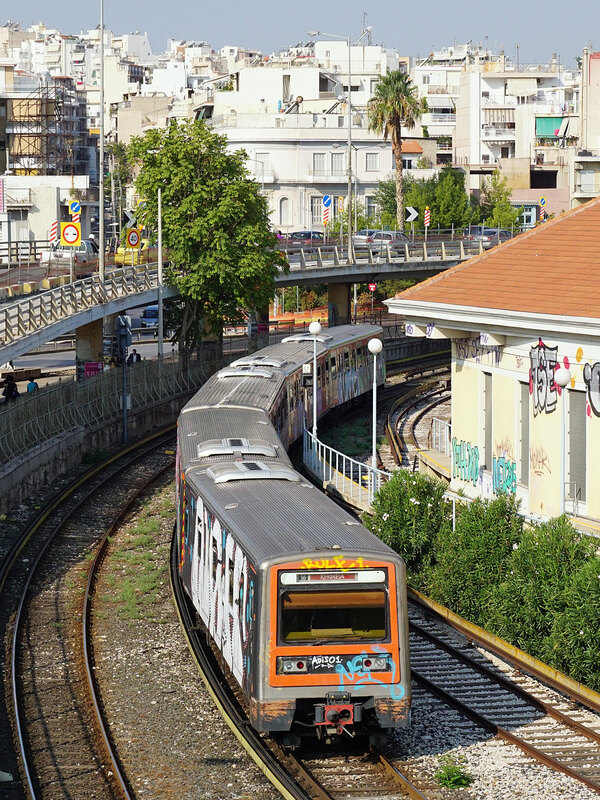 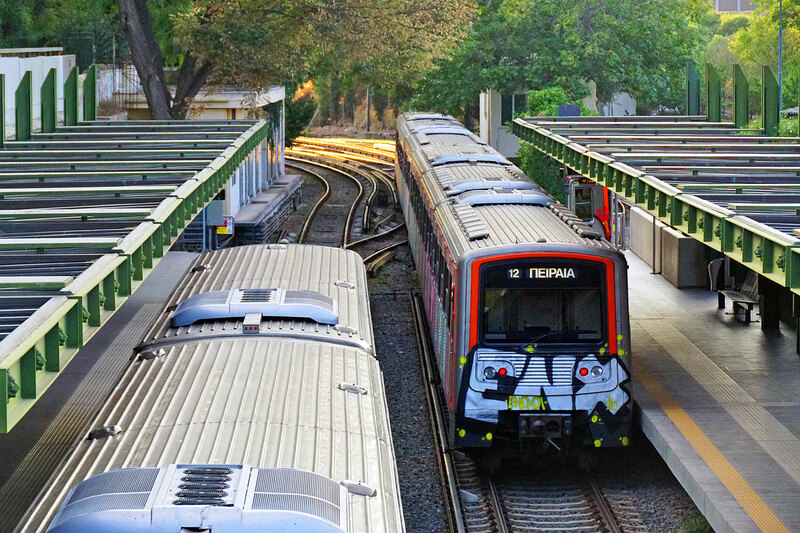 The metro network merged in 2011 when the Greek government created the Urban Rail Transport Company (STASY), a subsidiary of the Athens Urban Transport Organization (OASA). Until 28 January 2000, Line 1 was the only rapid-transit line in Athens and Piraeus. 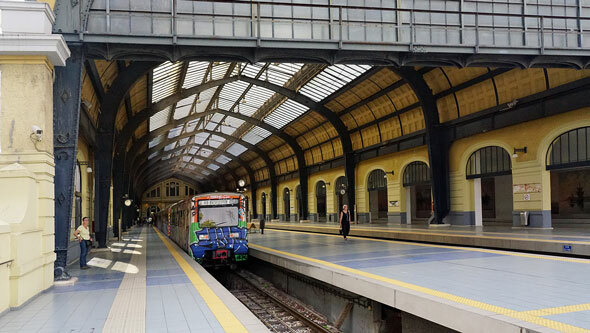 The Athens and Piraeus Railway Company (SAP) opened the line on 27 February 1869 as a steam railway between Piraeus and Thiseio. It was electrified in 1904, and extended in stages to Kifisia in 1957. 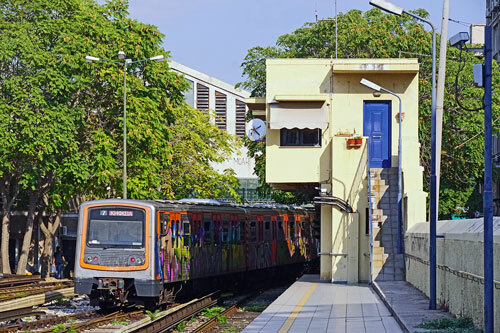 From 1976 to 16 June 2011, the Athens-Piraeus Electric Railway Company (ISAP) operated Line 1 independently from the rest of the metro and tram networks. 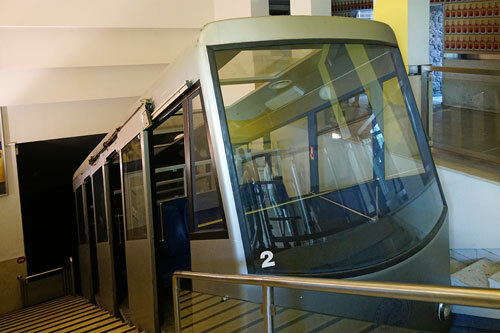 Unlike Lines 2 and 3, it runs almost entirely above ground. 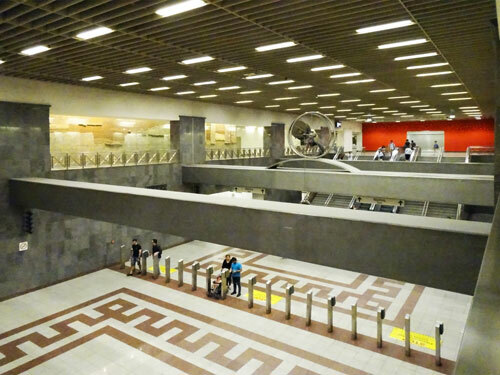 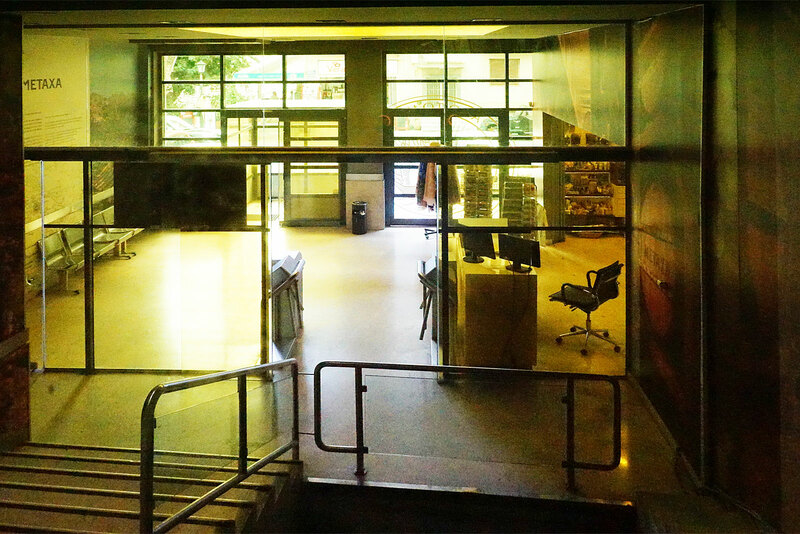 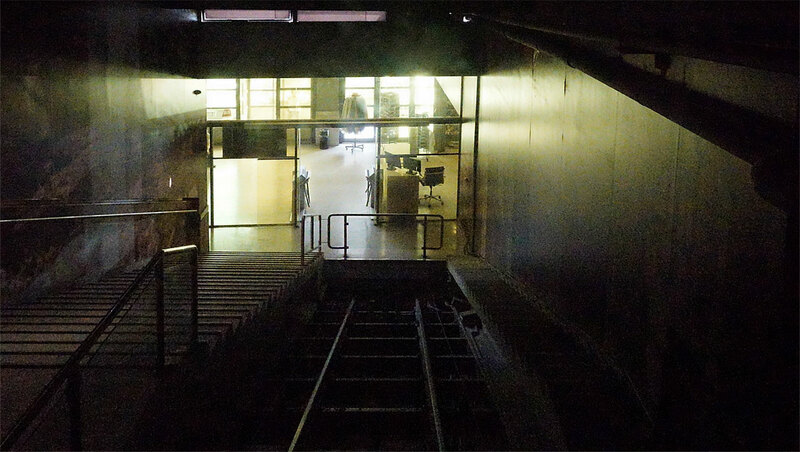 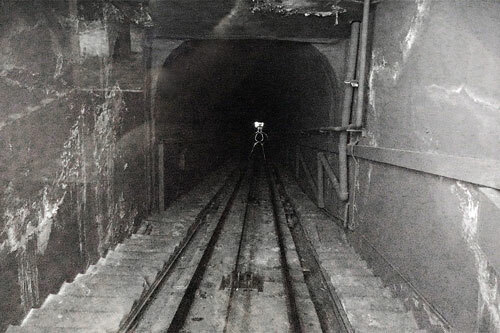 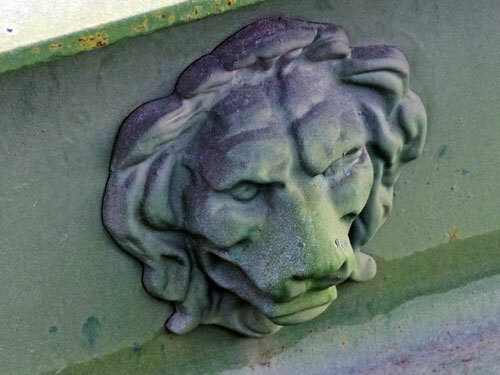 As the Metro has expanded, numerous archaeology have been uncovered. 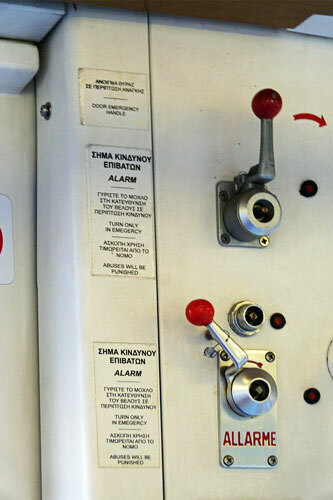 Some of the articles found are displayed in the stations, particularly Syntagna. 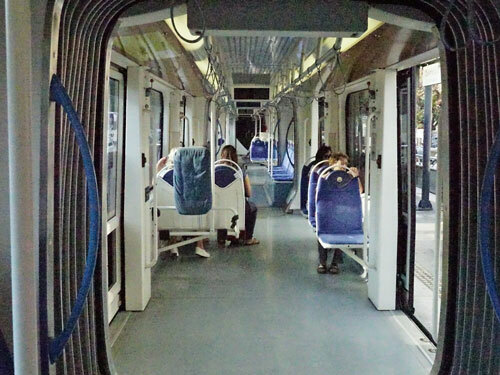 Athens built a new tramway for the 2004 Olympics. 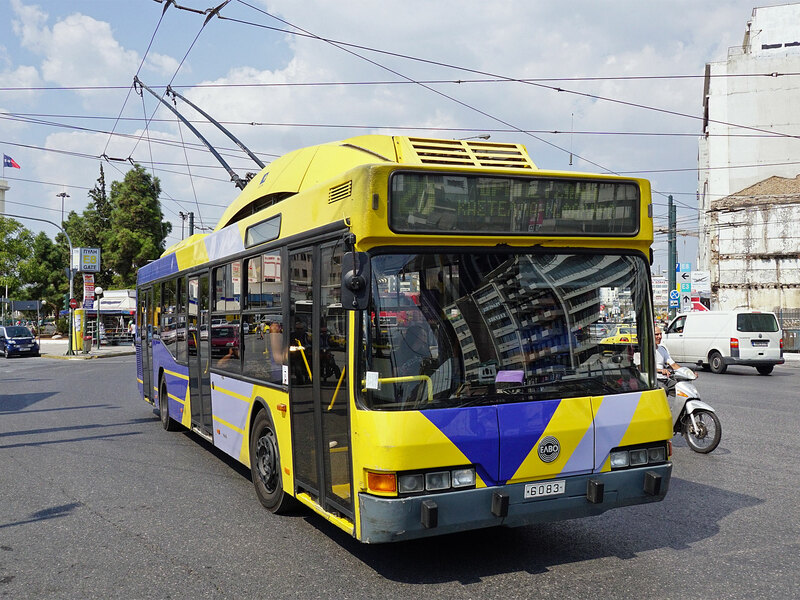 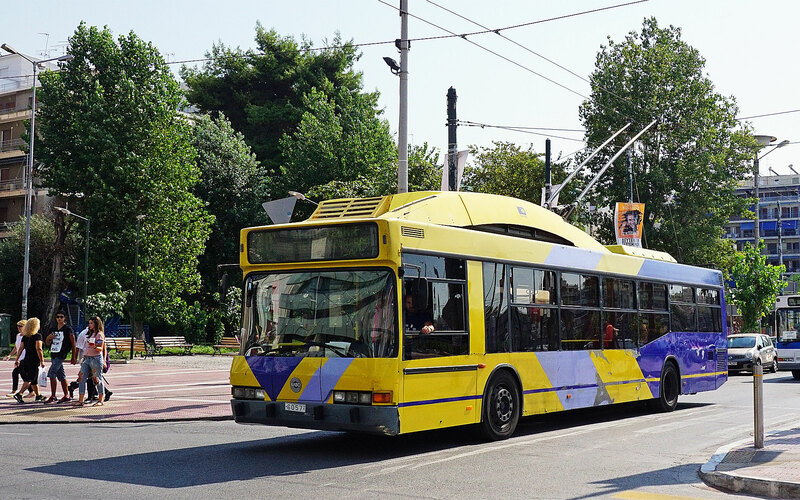 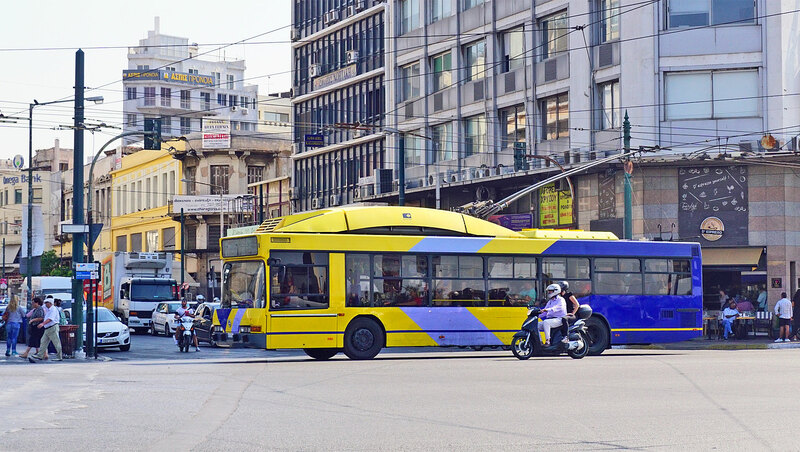 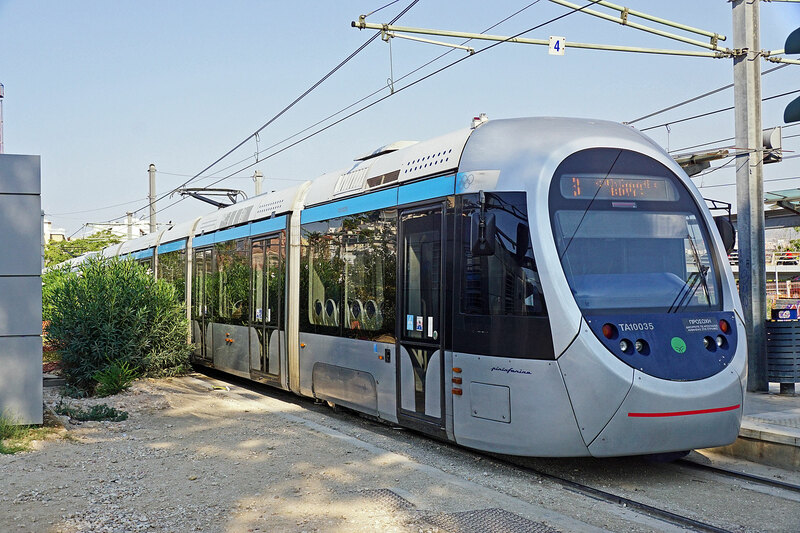 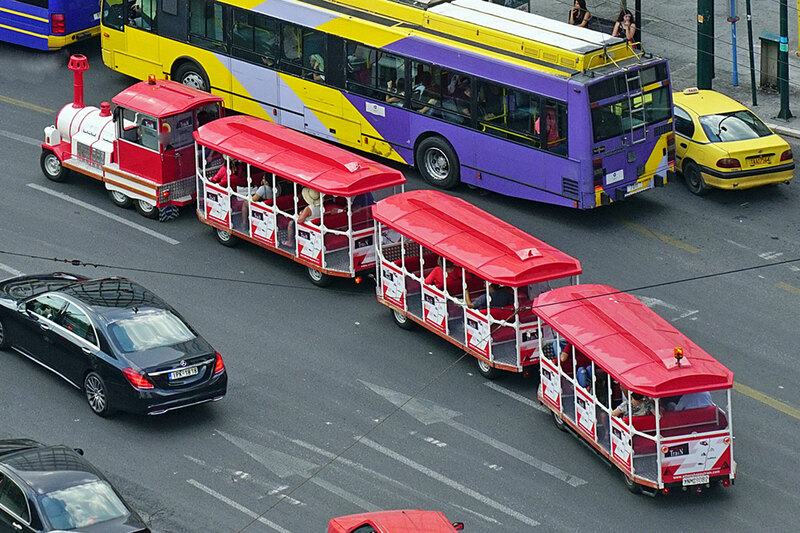 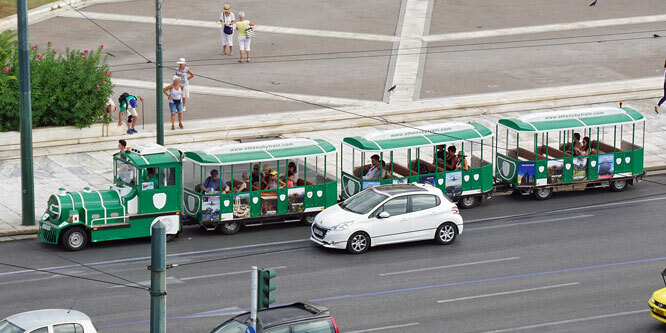 Athens Tram SA operates a fleet of 35 vehicles, called 'Sirios', which serve 48 stations, employ 345 people with an average daily occupancy of 65,000 passengers. 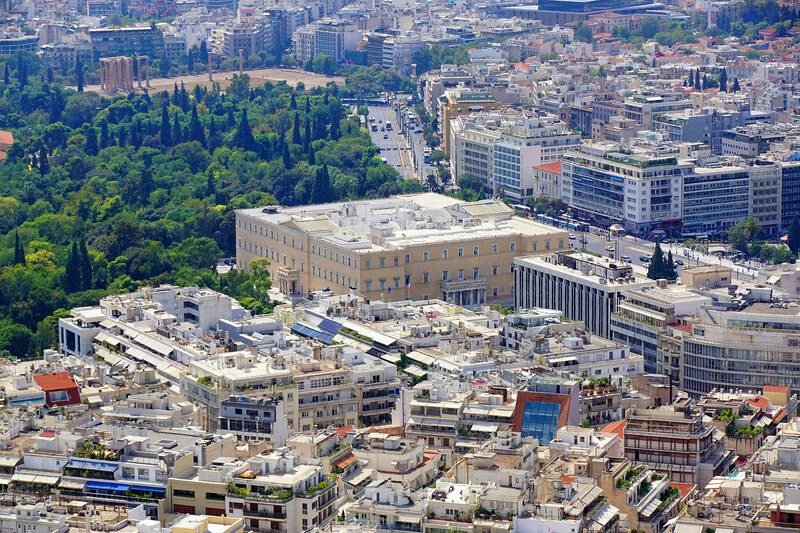 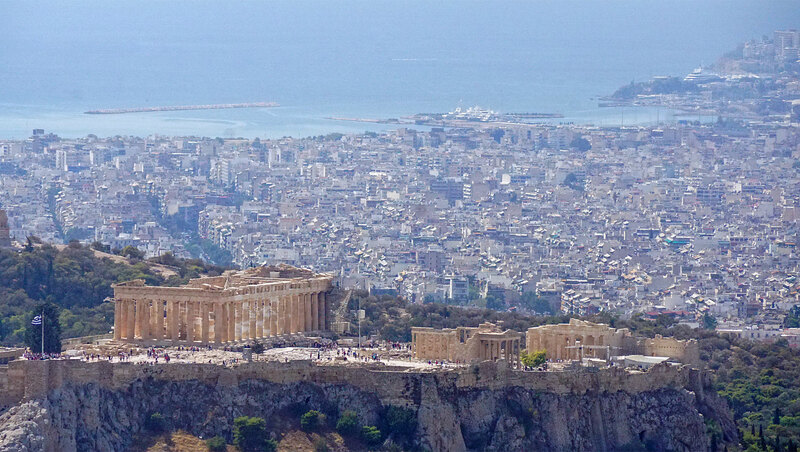 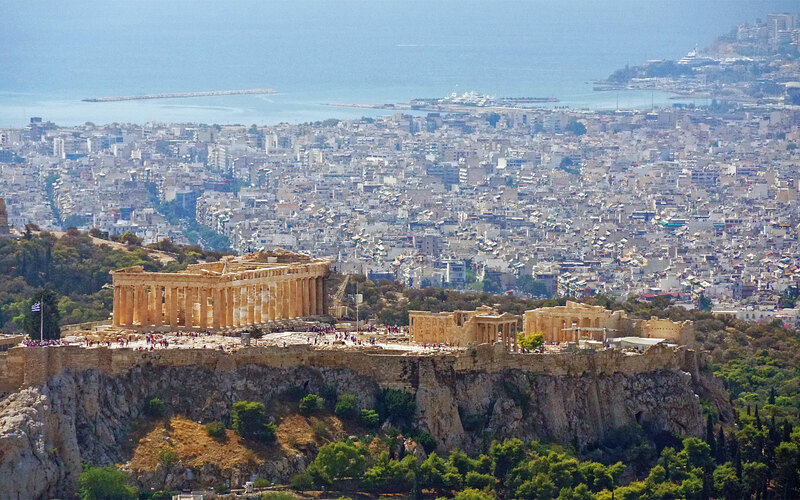 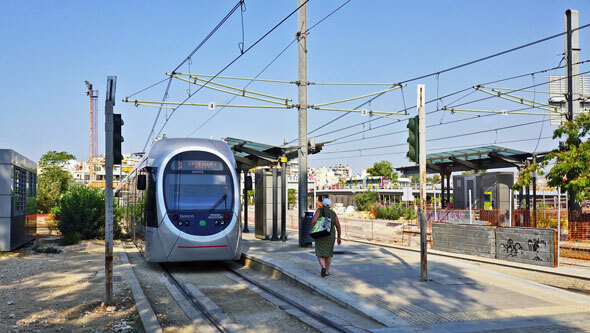 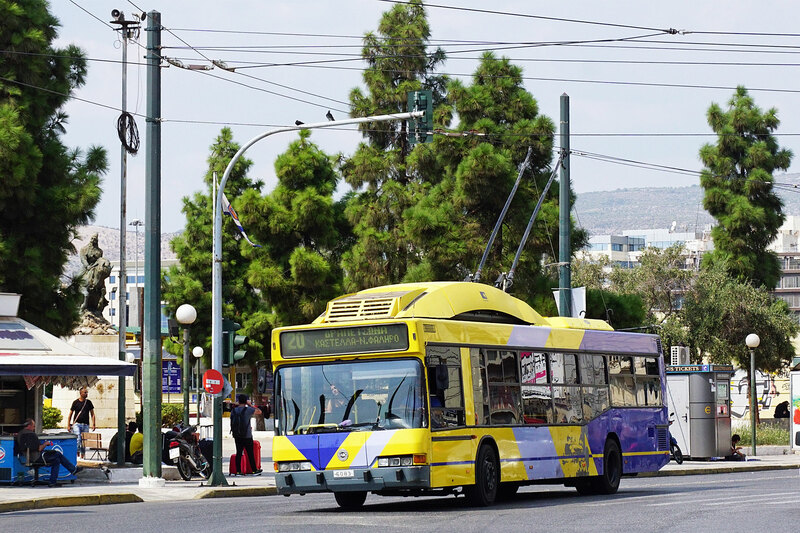 The tram network spans a total length of 27 km (17 miles) and covers ten Athenian suburbs. 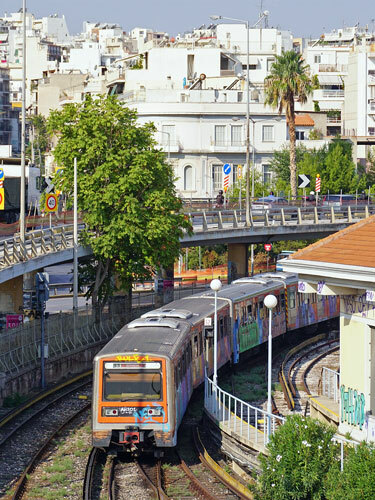 The network runs from Syntagma Square to the southwestern suburb of Palaio Faliro, where the line splits in two branches; the first runs along the Athens coastline toward the southern suburb of Voula, while the other heads toward the Piraeus district of Neo Faliro. The coastal sections from Piraeus Faliro to Asklipelio run along the coast similar to the Blackpool system. 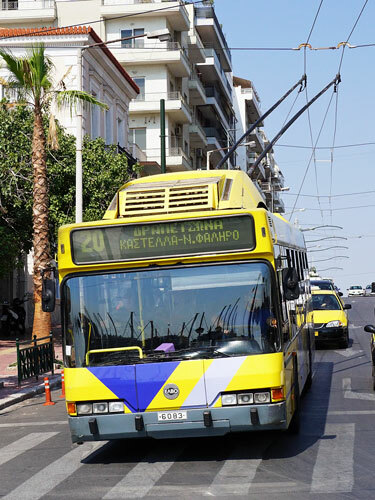 The network covers the majority of the Saronic coastline. 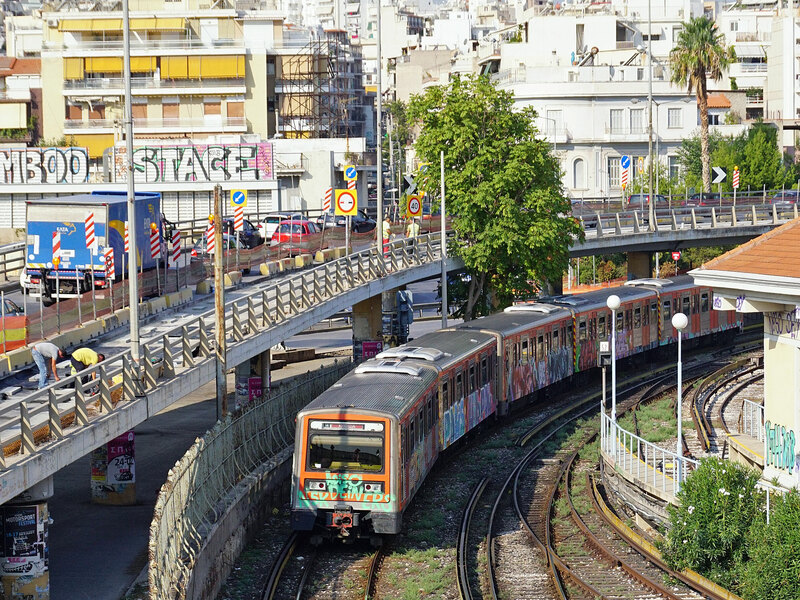 Further extensions are planned towards the major commercial port of Piraeus. 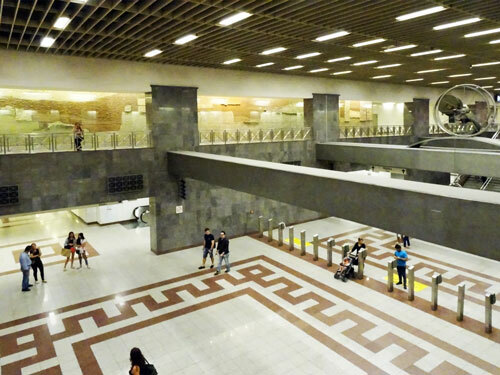 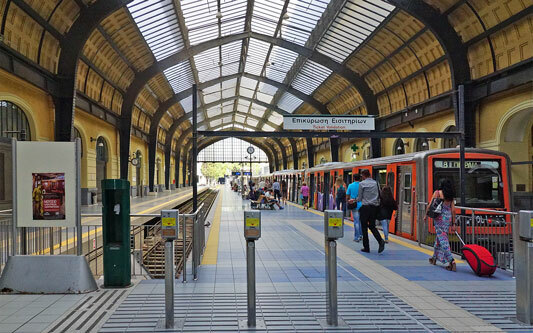 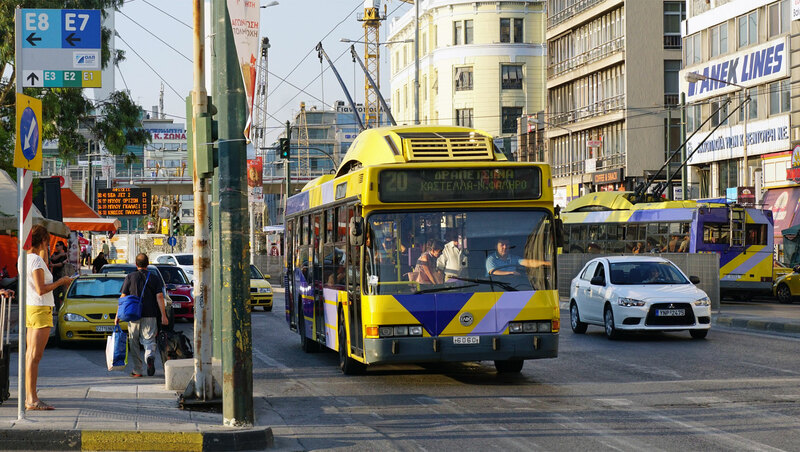 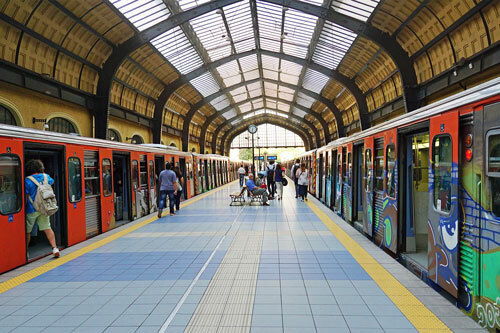 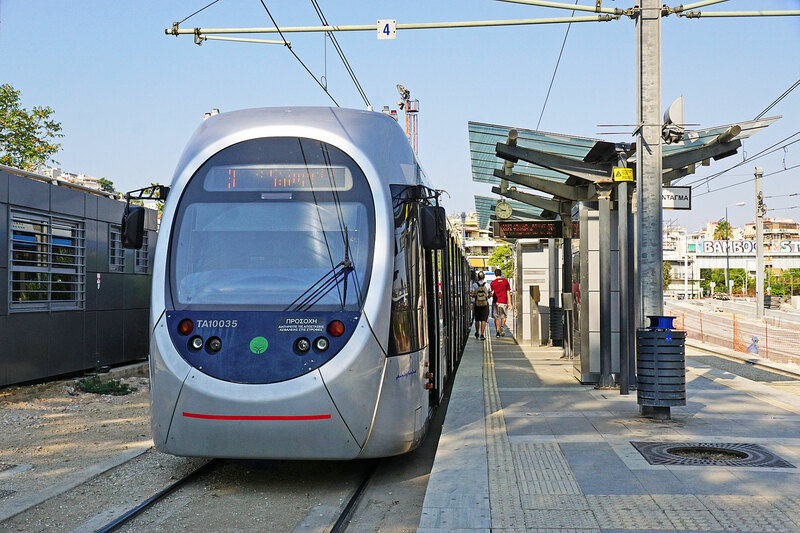 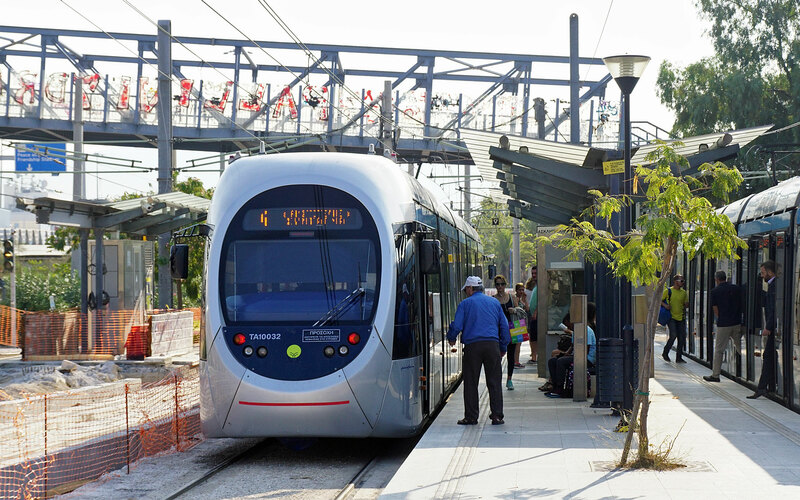 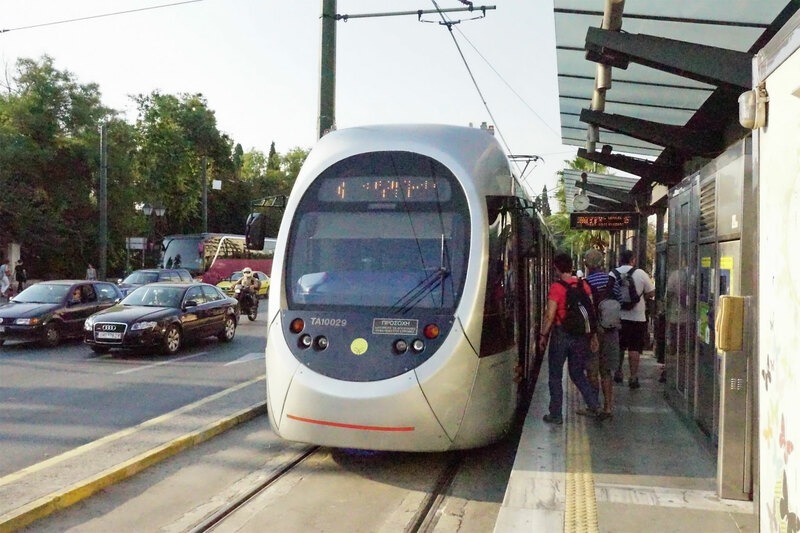 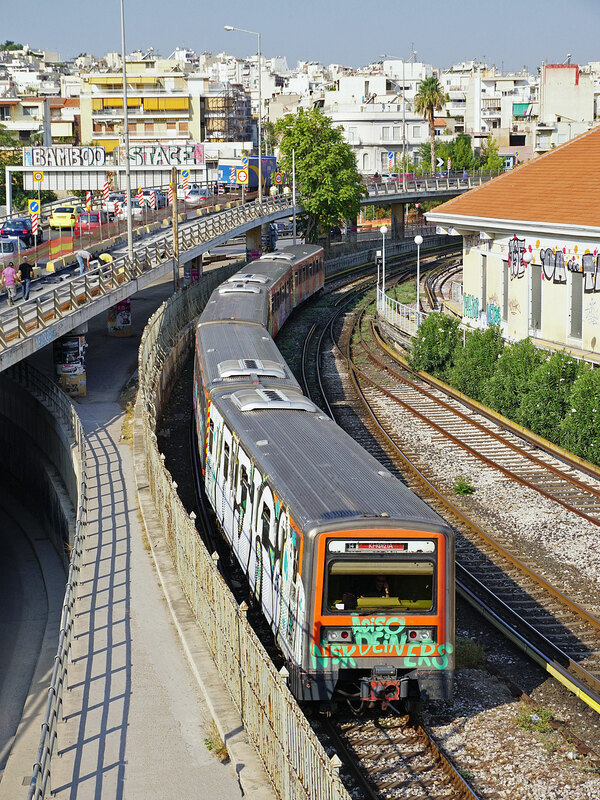 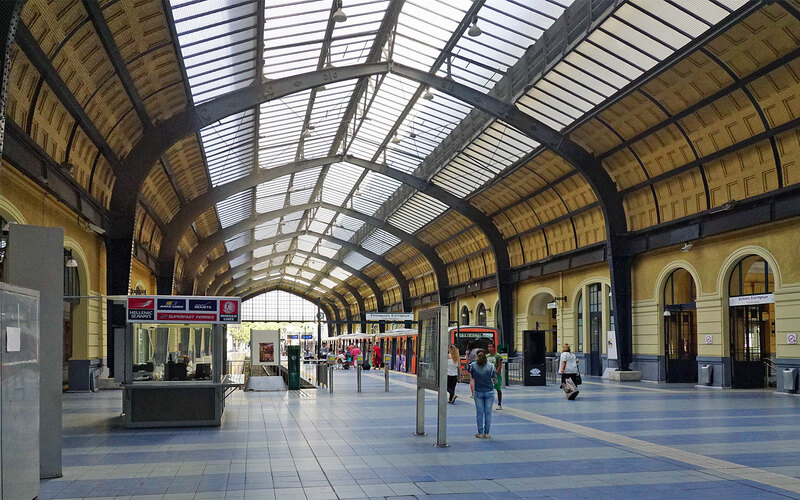 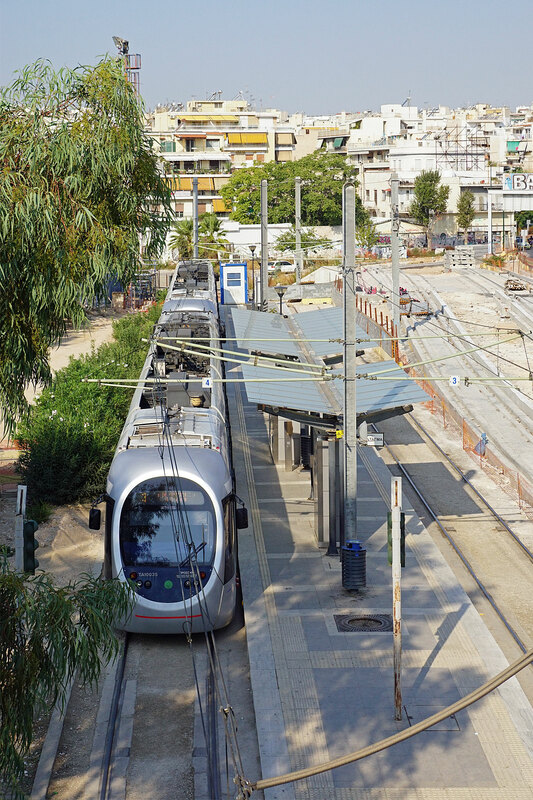 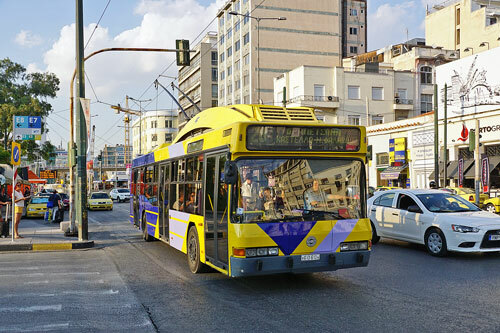 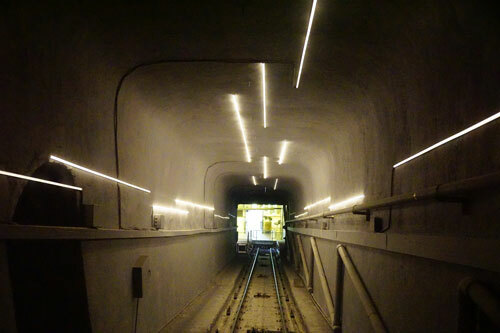 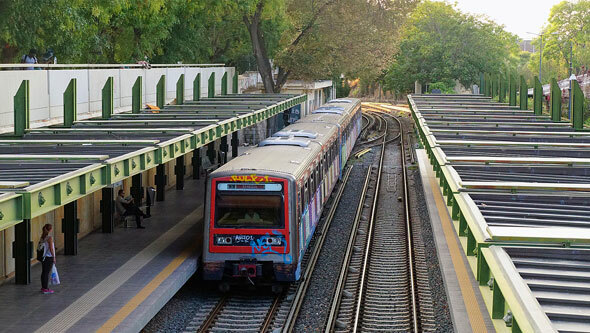 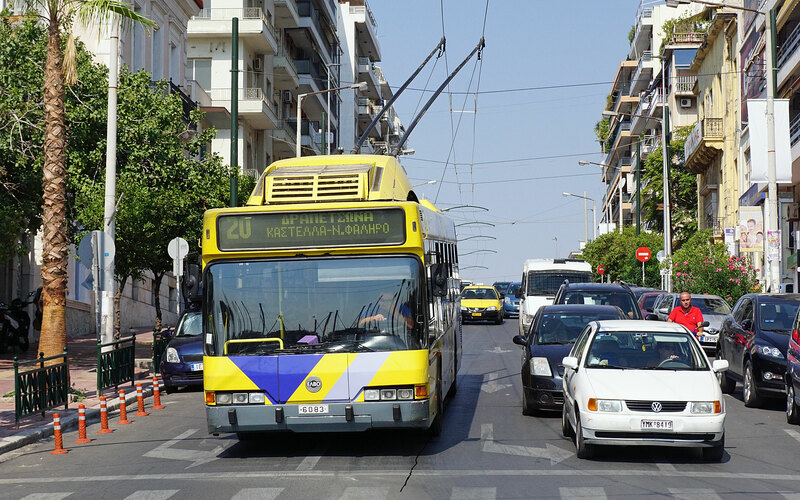 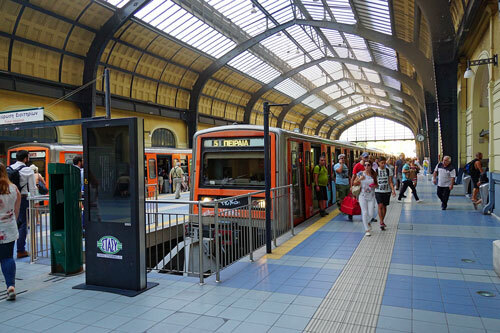 An expansion to Piraeus will include 12 new stations, increase the overall length of tram route by 5.4 km (3 miles), and increase the overall transportation network. 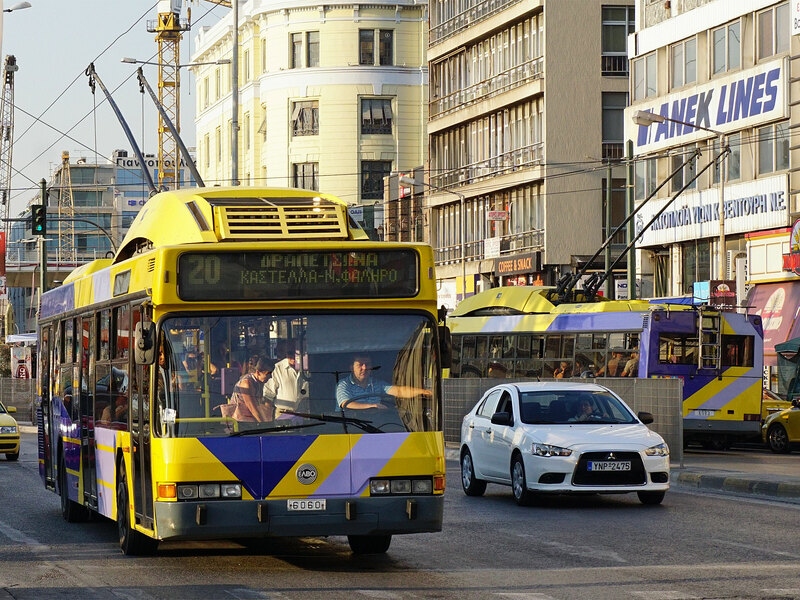 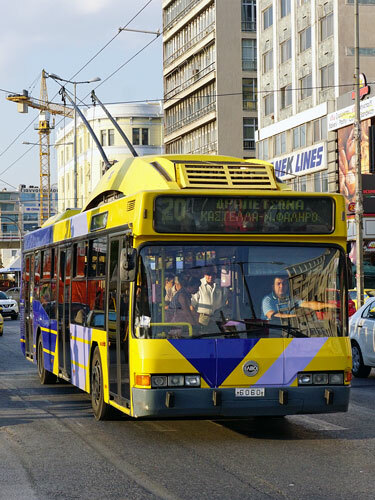 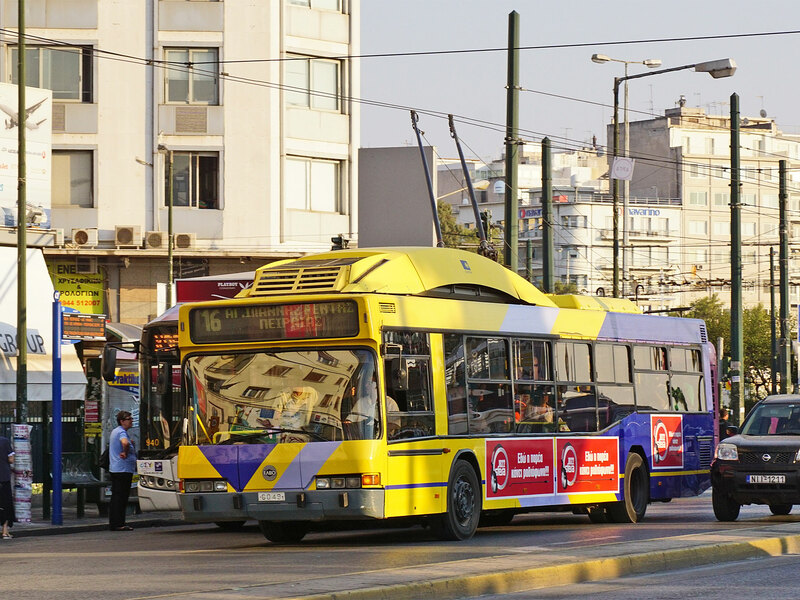 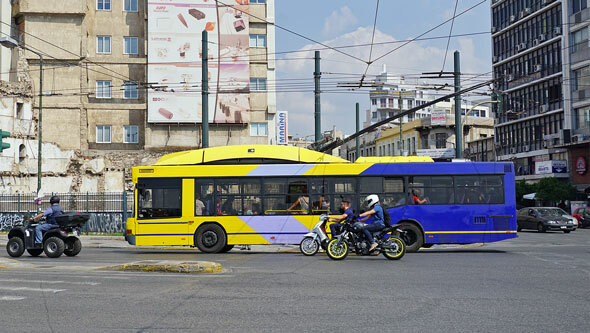 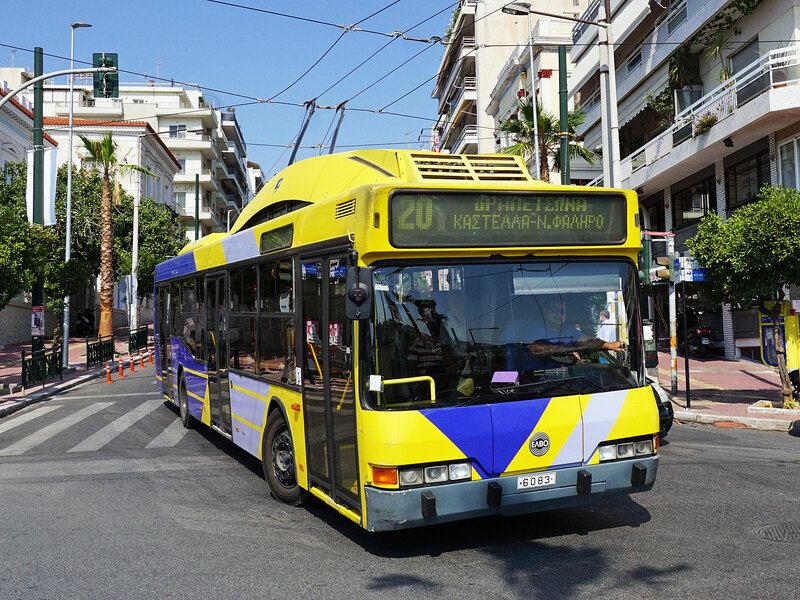 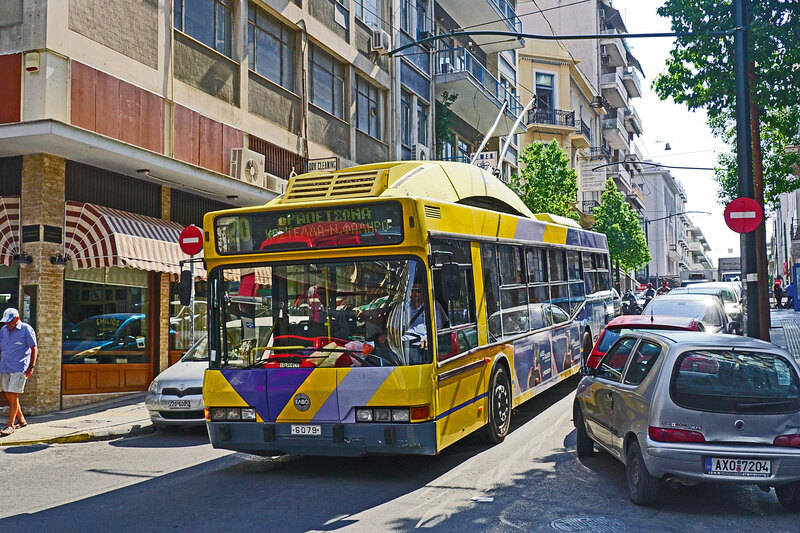 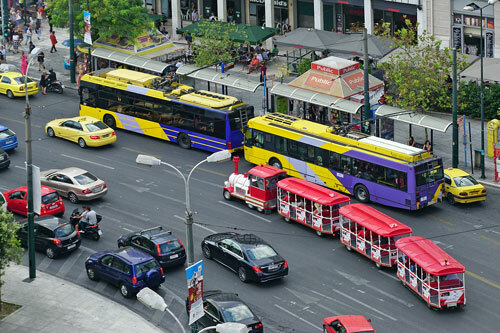 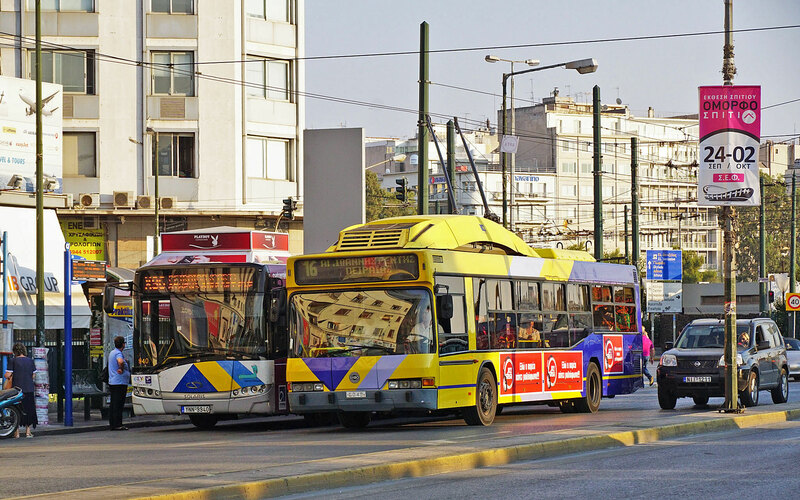 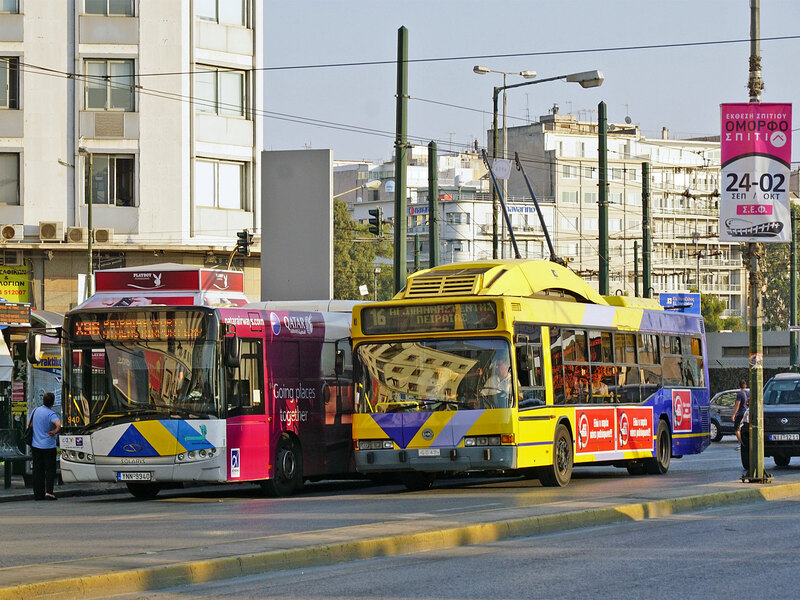 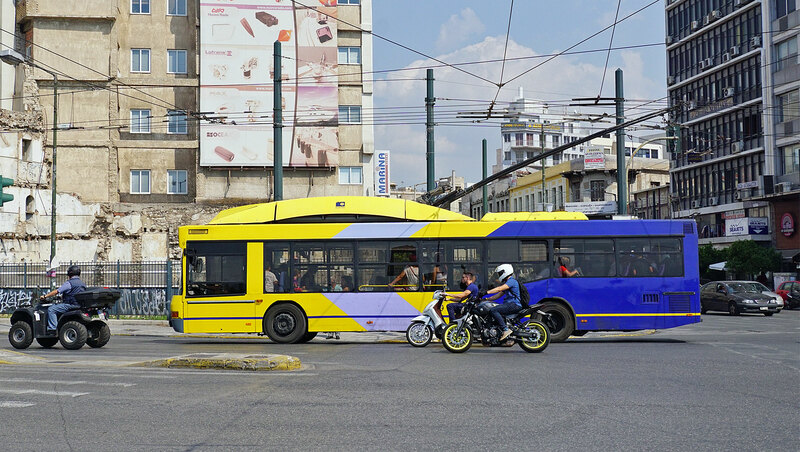 The Athens Urban Area is served by a large network of motor buses and electric trolleybuses. 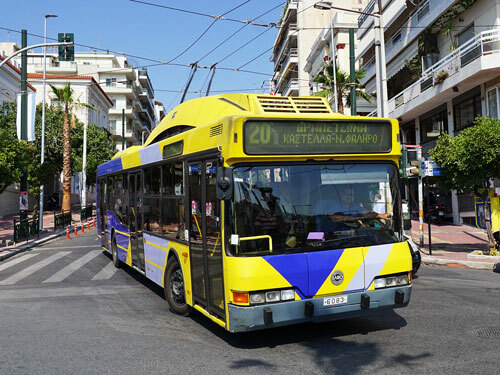 The network is operated by Electric Buses of the Athens and Piraeus Region, or ILPAP (Greek: ΗΛΠΑΠ) and consists of 22 lines with an operating staff of 1,137. All of the 366 trolleybuses are equipped to enable them to run on diesel in case of power failure. 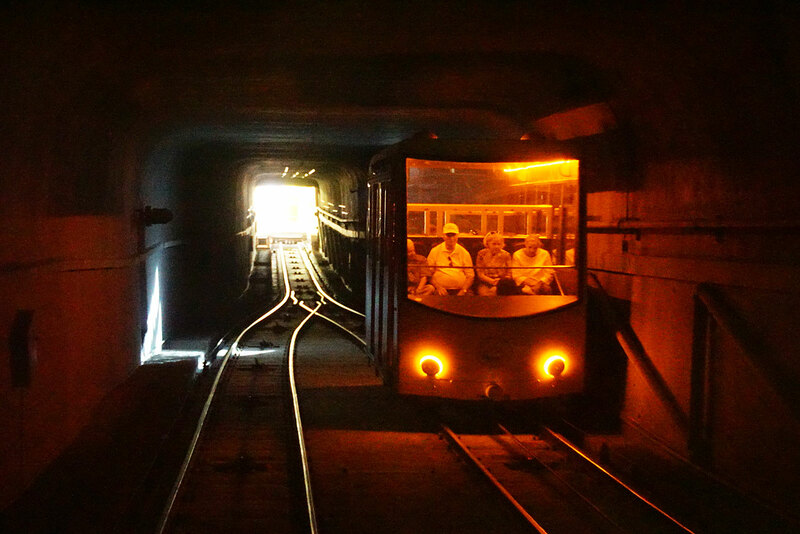 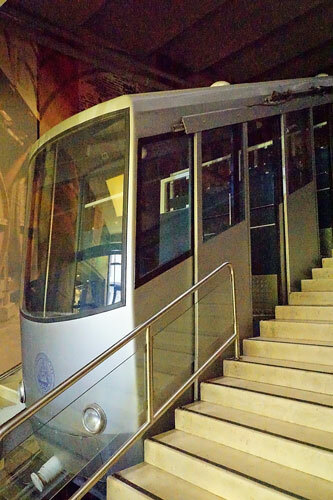 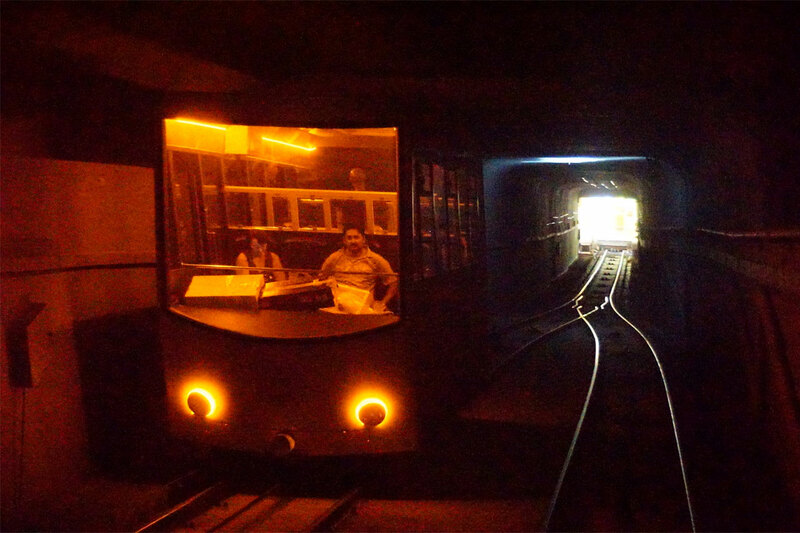 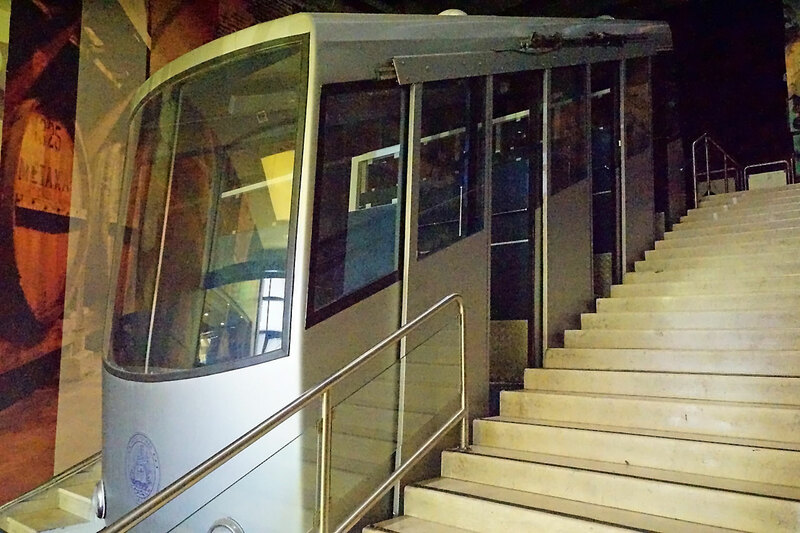 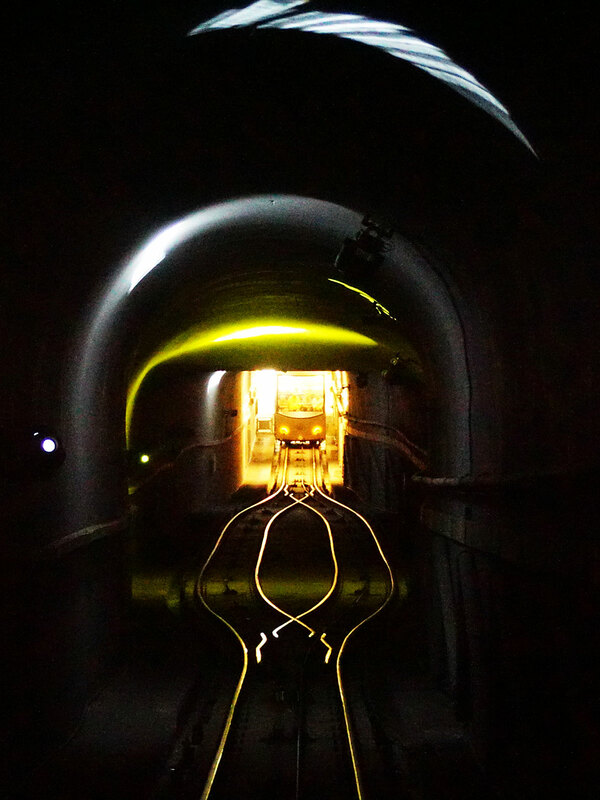 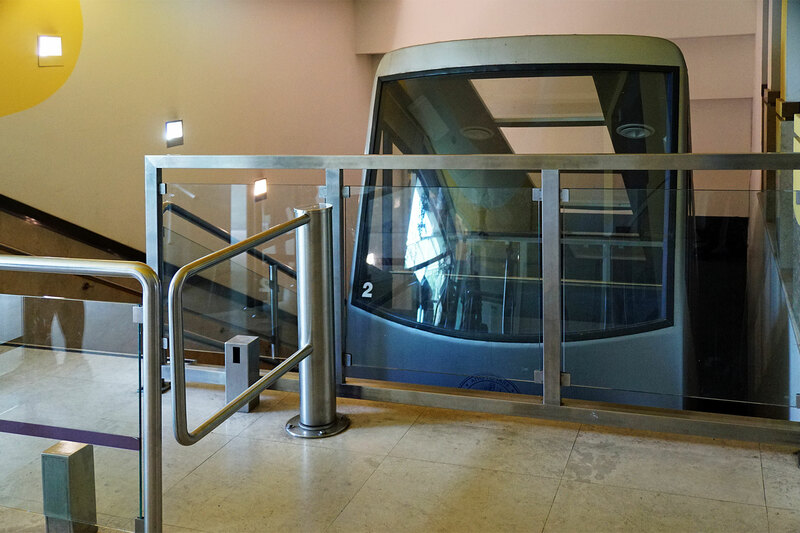 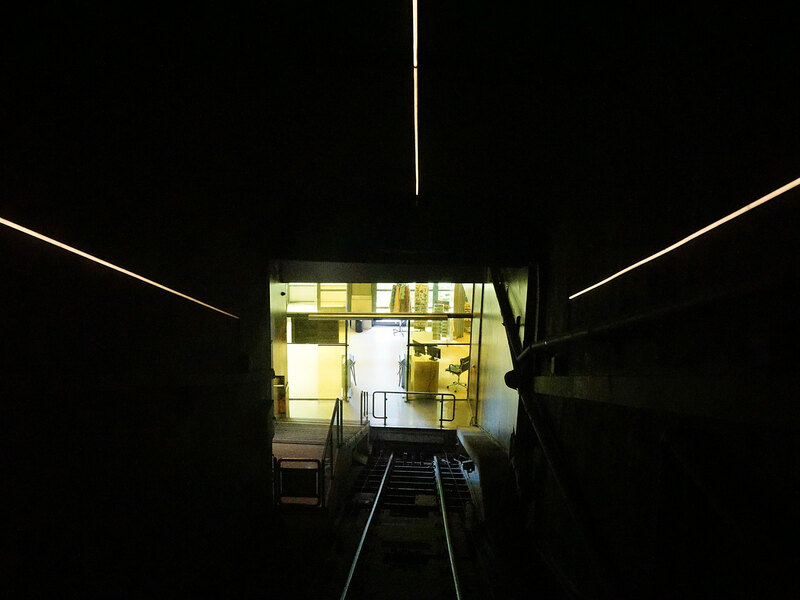 The Lycabettus Funicular is a funicular railway to the top of Mount Lycabettus in the Greek capital city of Athens. 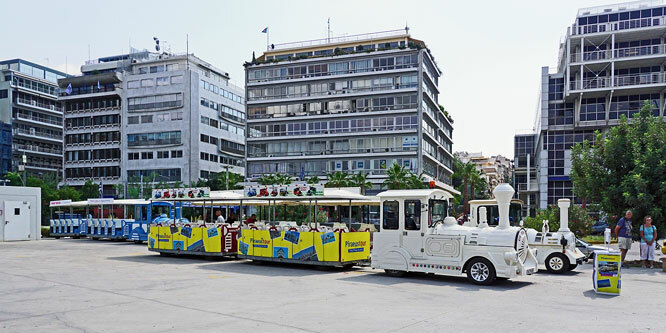 It was constructed in the 1960s by the Greek Tourist Organisation (EOT) and was inaugurated on April 18, 1965. 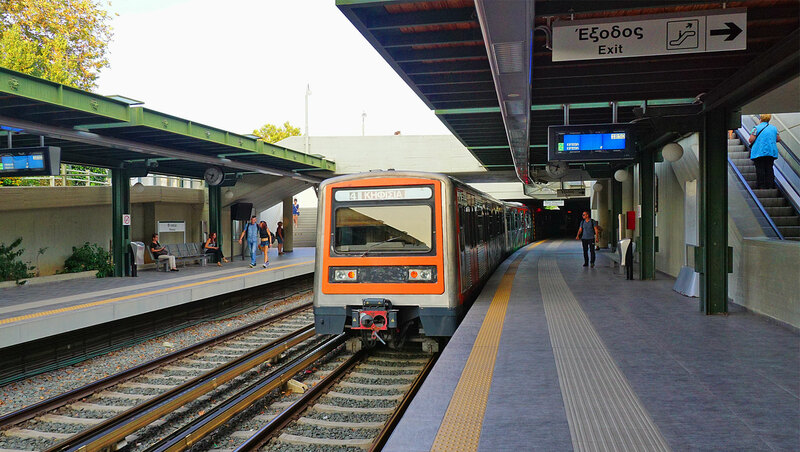 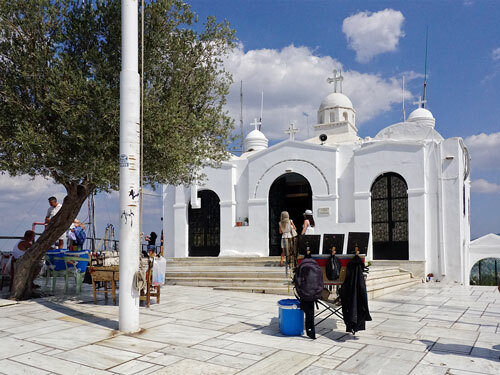 The terminal stations are situated at Aristippou street, in Kolonaki, and the Chapel of St. George, near the top of the hill. 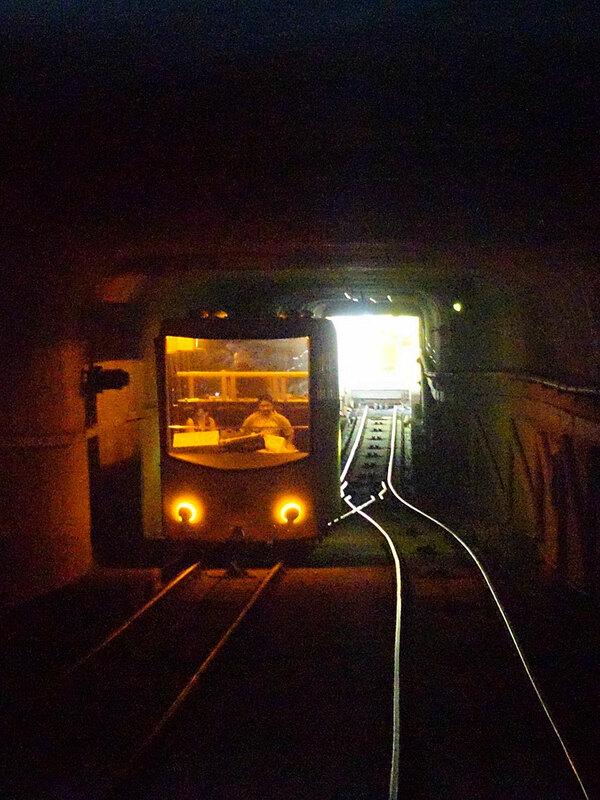 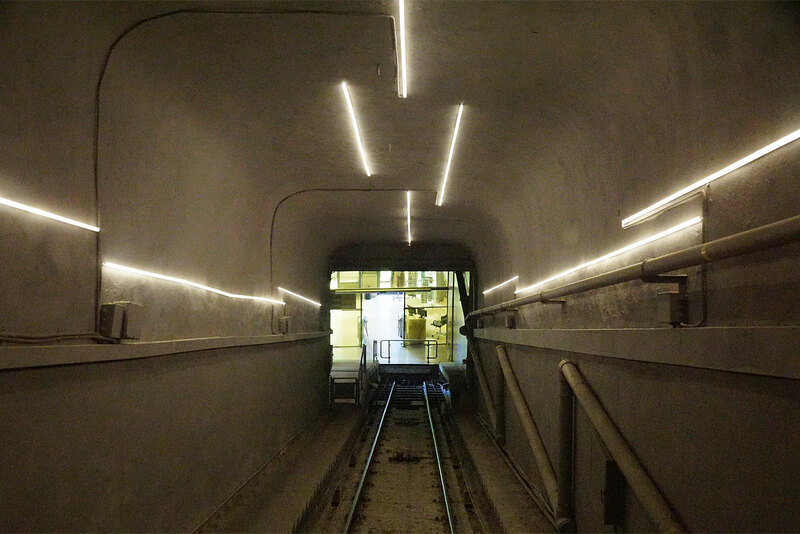 Between the terminal stations, the line is entirely in tunnel. 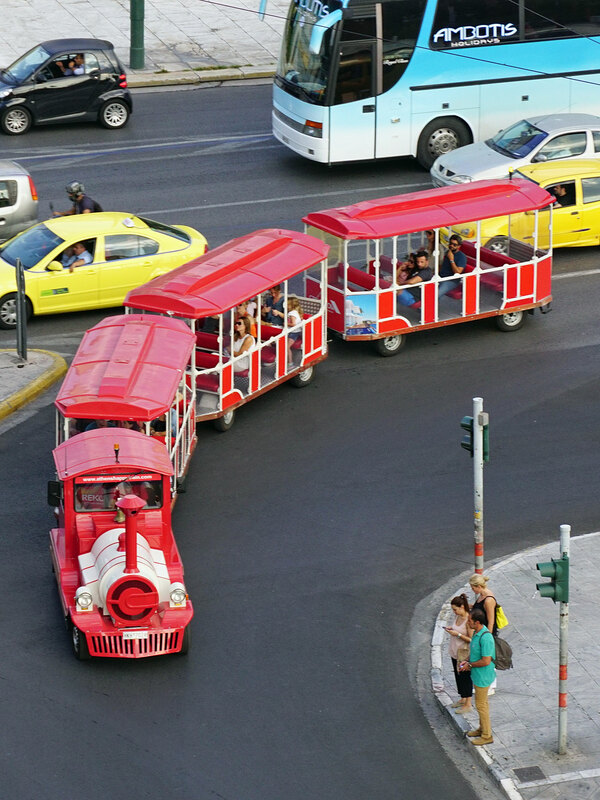 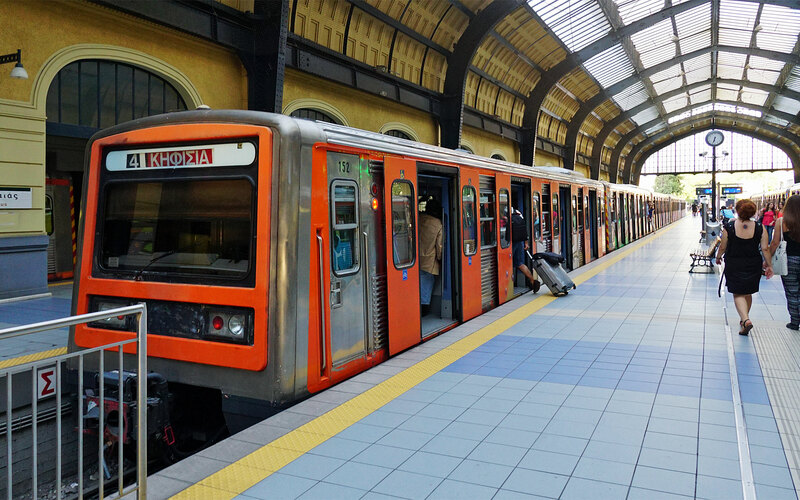 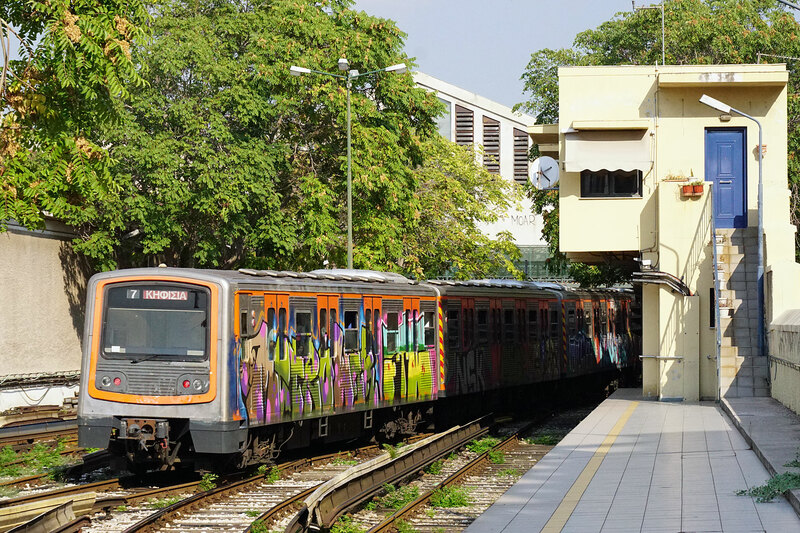 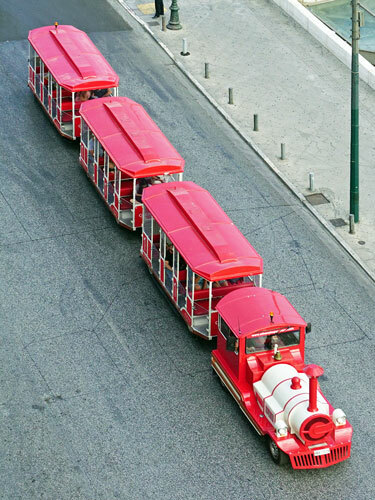 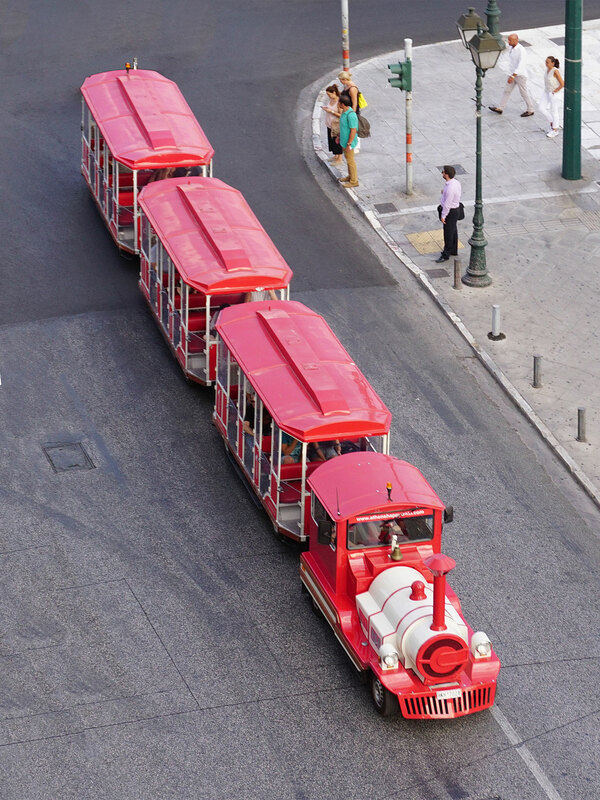 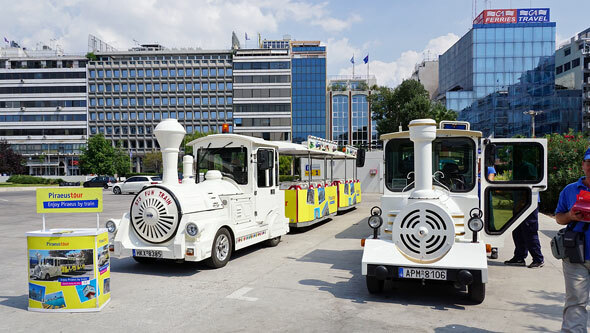 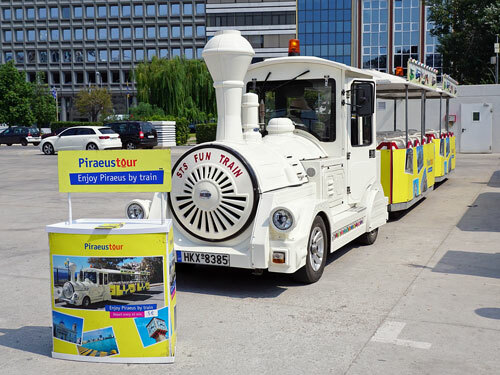 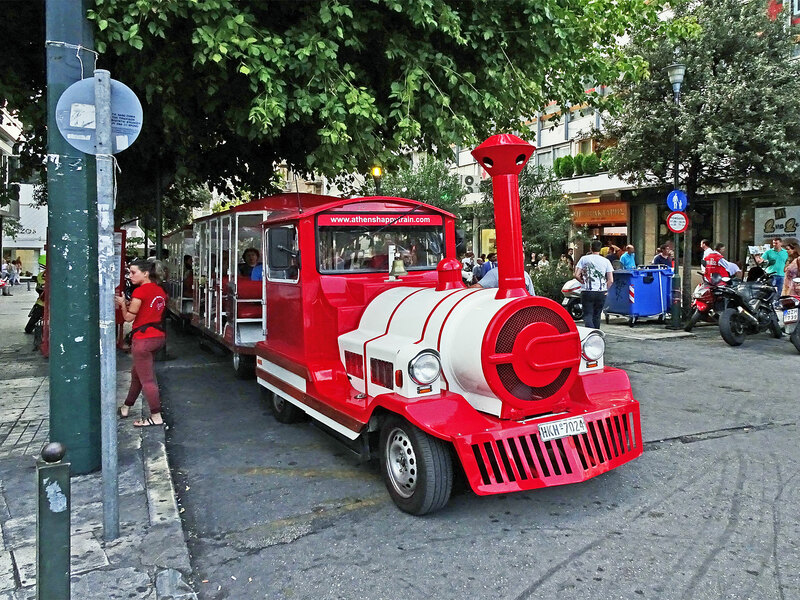 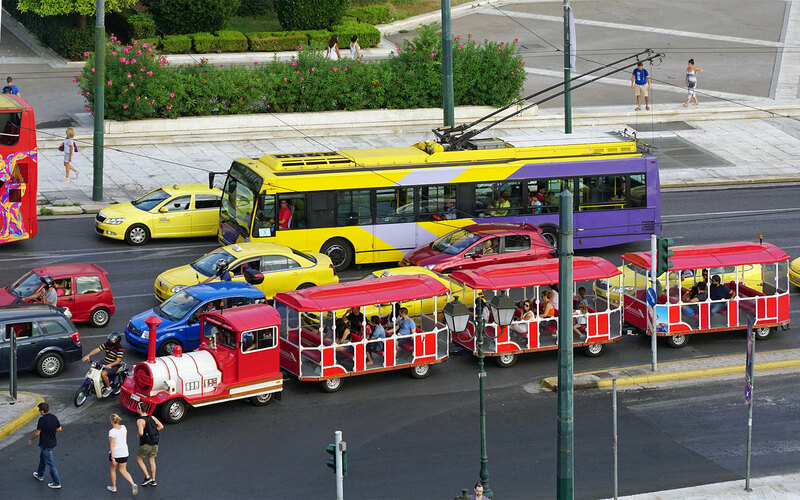 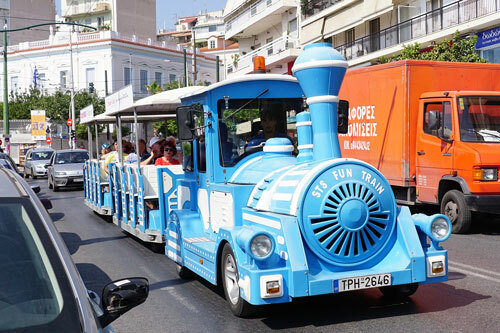 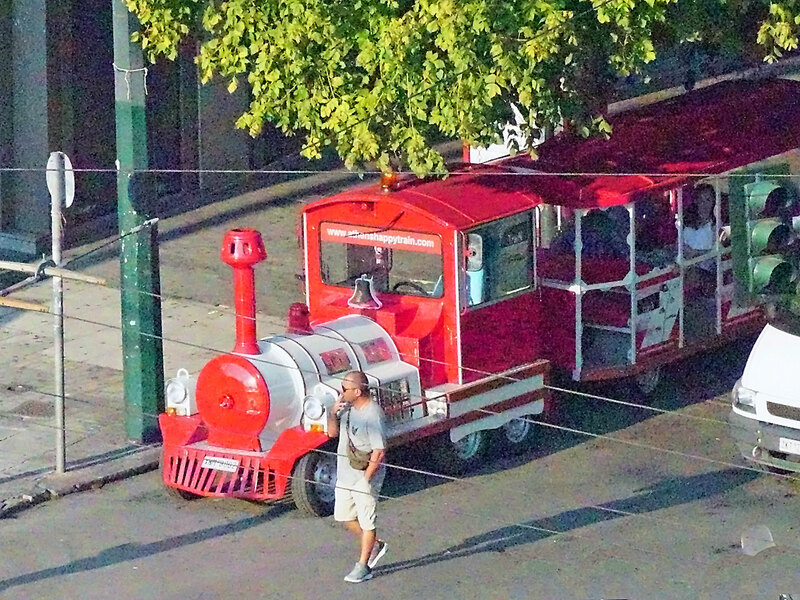 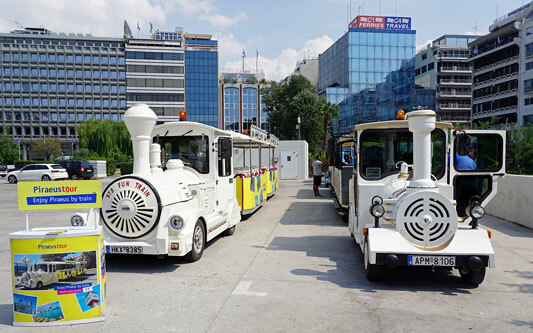 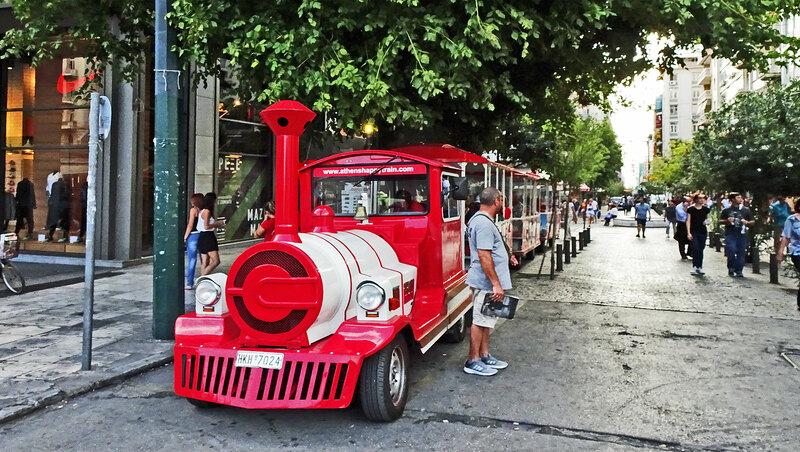 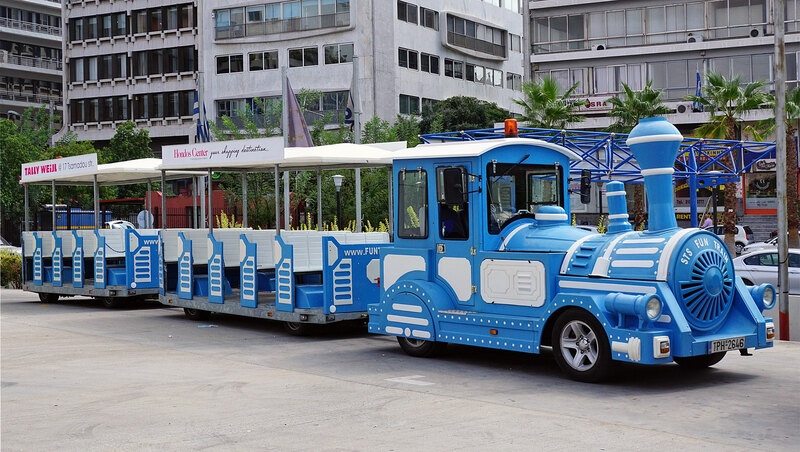 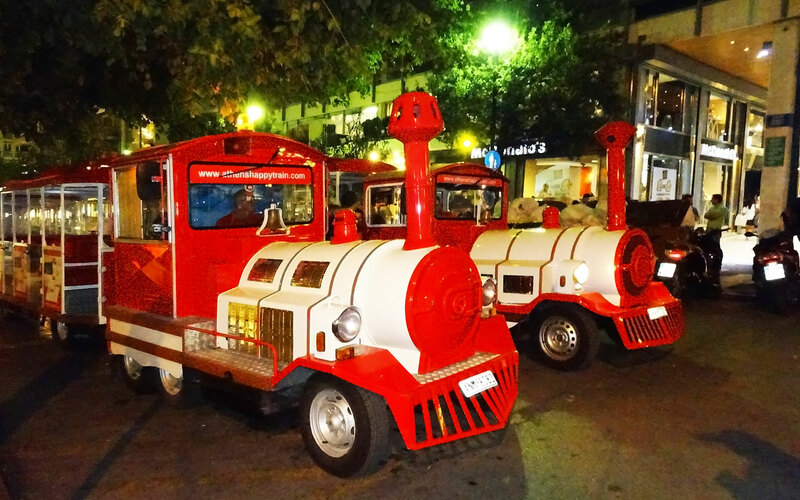 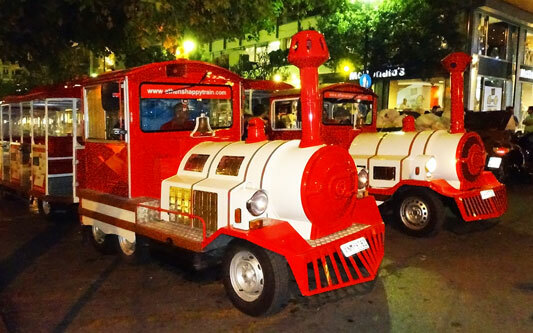 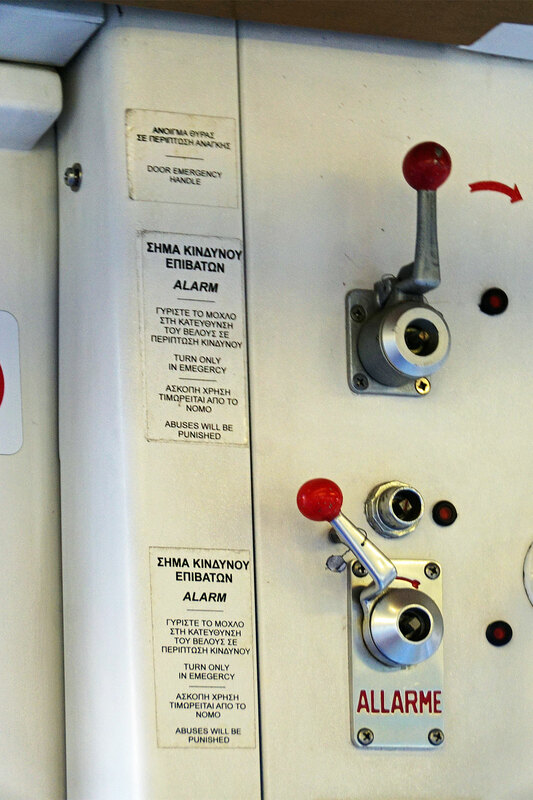 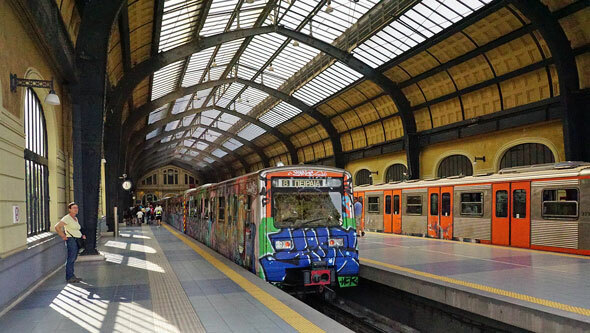 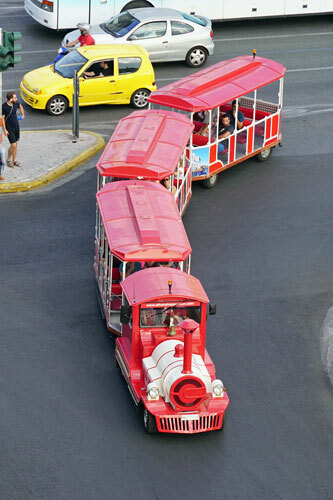 There are numerous different land trains ('Dottos') working different routes around Athens, in particular starting from Syntagma and the cruise terminal.